When you are told you have lung cancer and begin looking for treatment options, you may be concerned about life expectancy and quality of life. The chart below shows the cancer survival rates of 1,015 metastatic non-small cell lung cancer patients who were diagnosed between 2000 and 2009. Of the CTCA metastatic non-small cell lung cancer patients shown in the above chart, the estimated survival rate at six months was 70%. SEER is the only authoritative source of population-based information about cancer incidence and survival in the United States that includes the stage of cancer at the time of diagnosis and patient survival data. The objective of this analysis was to see how long each group of patients survived after their diagnosis. The independent biostatistician computed the survival outcomes of metastatic non-small cell lung cancer patients from the CTCA database and metastatic non-small cell lung cancer patients from the SEER database who were diagnosed between 2000 and 2009. The chart below shows the cancer survival rates for a group of 1,309 metastatic non-small cell lung cancer patients who were diagnosed between 2000 and 2011. Of the CTCA metastatic non-small cell lung cancer patients shown in the above chart, the estimated survival rate at six months was 65%. At Cancer Treatment Centers of America, we understand that you may also wish to see the survival rates of the group of metastatic non-small cell lung cancer patients reported in the Surveillance, Epidemiology and End Results (SEER) database of the National Cancer Institute. Therefore, we asked an independent biostatistician to analyze both the survival rates of the group of CTCA patients and the group of patients included in the SEER database. This analysis included non-small cell lung cancer patients from CTCA who were diagnosed from 2000 to 2011 (including 2000 and 2011) with primary tumor sites (as coded by ICD-O-2 (1973+)) from C340 to C343, and were considered analytic cases by the CTCA. Primary tumor sites (as coded by ICD-O-2 (1973+)), date of initial diagnosis, date of last contact, year of initial diagnosis, age of initial diagnosis, gender, vital status, and cancer histologic type as coded by the ICD-O-3. The database from the CTCA cohort was prepared by the CTCA cancer registrars from the following four hospitals: Southwestern Regional Medical Center hospital, Midwestern Regional Medical Center hospital, Eastern Regional Medical Center hospital, and Western Regional Medical Center hospital. The SEER program of the National Cancer Institute is an authoritative source of information on cancer incidence and survival in the United States. This analysis included non-small cell lung cancer patients from the latest SEER Limited-Use Database (as of 2014) who were diagnosed from 2000 to 2011 (including 2000 and 2011) with primary tumor sites (as coded by ICD-O-2 (1973+)) from C340 to 343. Primary tumor sites (as coded by ICD-O-2 (1973+)), survival time recode as calculated by the date of initial diagnosis and the date of death or the follow-up cutoff date, year of initial diagnosis, age of initial diagnosis, gender, vital status, and cancer histologic type as coded by the ICD-O-3. In order to make a meaningful survival analysis, basic cancer and patient characteristics such as age at initial diagnosis, year of initial diagnosis, cancer stages, cancer primary sites, and gender were first analyzed for both the CTCA and SEER samples. For example, if a specific primary tumor site had patients in only one database, none of those patients were used in the analysis. 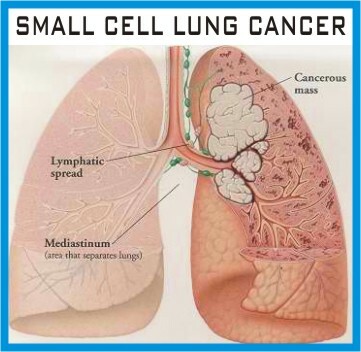 Cancer stages contribute significantly to the survival of non-small cell lung cancer patients. The survival outcome from the CTCA database was defined as the time from the initial diagnosis to death and computed in number of years as the difference between the date of death and the date of initial diagnosis divided by 365.25. For each survival outcome from each database, the survival curve, defined as the probability of cancer patient survival as a function of time after the initial diagnosis, was estimated by the nonparametric product-limit method. Covariates such as age at initial diagnosis and year of initial diagnosis could affect the survival of non-small cell lung cancer patients. At Cancer Treatment Centers of America® (CTCA), we believe you have the right to know our statistics for lung cancer treatment outcomes, so you can choose the best cancer care for you and your family. Therefore, we asked an independent biostatistician to analyze the survival results of CTCA® patients. This means that six months after their diagnosis, 70% of the patients in this group were still living. Therefore, SEER is currently the most comprehensive database for the analysis of CTCA results and national results. Our fifth hospital, located near Atlanta, Georgia, was not included because it was not open to patients until August 2012. Across all the 11 cancer types whose survival results are presented on the CTCA website, 0.48% of the CTCA patients included in the analyses were only diagnosed by CTCA and received no initial course of treatment from CTCA. In both cases, the patients had been diagnosed with metastatic or distant cancer – cancer that had traveled from the primary site (lung) to one or more distant sites in the body where it continued to grow. Not all cancer patients who are treated at a CTCA hospital may experience these same results. This means that six months after their diagnosis, 65% of the patients in this group were still living. SEER is a source of population-based information about cancer incidence and survival in the United States that includes the stage of cancer at the time of diagnosis and patient survival data. The independent biostatistician computed the survival outcomes of metastatic cancer patients from the CTCA database and metastatic non-small cell lung cancer patients from the SEER database who were diagnosed between 2000 and 2011. More specifically, the SEER Limited-Use Database contained a combination of three databases. The survival outcome from the SEER database was provided by the SEER Limited-Use Data File as the number of completed years and the number of completed months. Similar estimates were also computed to estimate the difference of the survival rates at these time points between the two cohorts. Therefore, additional adjusted analyses were completed on the survival outcomes between the CTCA and SEER samples after adjusting for the effects of these covariates. First, although a large cancer sample was available from the SEER program across many geographic regions in the United States, both samples, including the sample from CTCA, are convenience samples. A similar statistic for metastatic non-small cell lung cancer alone is not currently available. SEER collects information on cancer incidence, prevalence and survival from specific geographic areas that represent 28% of the population of the United States. In both cases, the patients had been diagnosed with distant (metastatic) cancer as discussed above. The SEER Program is a comprehensive source of population-based information in the United States that includes stage of cancer at the time of diagnosis and patient survival data. Patients whose age at initial diagnosis fell into the overlap of the two ranges from the CTCA and SEER samples were included in the survival analysis. These were then converted to the number of years by dividing the number of total months by 12. Because the estimated survival curves might not estimate the survival probability at these specific time points, survival rates from the closest observed survival times were used. The nature of these convenience samples prevents a causal interpretation of the statistical inferences. It is also possible that the SEER database may contain some of the CTCA cancer cases that were part of the analysis. This means the cancer had traveled from the primary site (lung) to one or more distant sites in the body where it continued to grow. For these patients who were still alive or lost to follow-up at the time of entering the databases, their survival time was treated as statistically censored at the difference between the date of last contact and the date of initial diagnosis. Because five-year survival rates have been popularly used in many cancer survival reports, five-year survival curves were also obtained by treating those who survived more than five years after the initial diagnosis as statistically censored at five years. Second, although some types of matching, as described above, were implemented to select the appropriate SEER and CTCA comparison samples, the distributions of important covariates such as age at initial diagnosis, race and year of initial diagnosis were not exactly the same between the CTCA sample and SEER sample. Because patients surviving more than five years remained part of the risk sets in the estimation of survival rates at any time within five years of diagnosis, the truncated survival curves were identical to the first portion of the complete survival curves. Hence, even with the adjusted analysis, the possible confounding of these factors to the analyses and results cannot be ruled out. Another Cox proportional hazards model was also used to simultaneously adjust for the effects of both covariates (age at diagnosis and year of initial diagnosis) in the survival analysis. Third, the survival analyses were based on the statistical comparisons of the rate of death from all possible causes, not solely the cancer-specific death. Data from CTCA are not available for a statistical comparison on cancer cause-specific death rates. 12.10.2014 at 22:23:30 Soapmaking (an awesome green small enterprise doable. 12.10.2014 at 16:26:25 Gravel bed, which appears to be rotting on the base actually.